Our professional and courteous staff is committed to practicing the highest quality medical, surgical, and dental care. When it comes to selecting a Detroit animal hospital, you want a veterinarian who sees things from your pet’s point of view. Many pets are scared of vet visits and it’s our job to make them comfortable so we can provide the very best care and treatment possible. Our professional and courteous staff is committed to practicing the highest quality medical, surgical, and dental care. Our services are designed to assist in routine preventative care for young healthy pets, and early detection and treatment of diseases as your pet ages. You can feel confident that our animal hospital provides you with a veterinary office that not only offers full service, but also convenience. We serve Detroit and the entire area including Grosse Pointe and St. Clair Shores. Our pet clinic provides more than vaccinations and health checks and treatments. We understand the special role that your pet plays in the family and we are dedicated to enhancing the animal human bond through an emphasis on education. It’s our pleasure to help you better understand your pet and help foster that special bond. 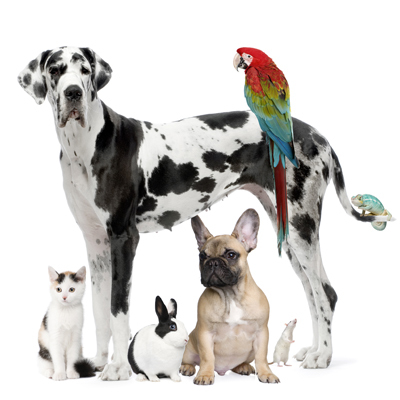 Our veterinary team wants to make sure you're completely comfortable and well informed regarding your pets health care. Contact us today at (313) 882-3026 to schedule your pet care appointment with our friendly and dedicated veterinary team! To learn more about us, prepare for your first visit, learn about our veterinarians and staff and more, please click the links below!